Nasim and his young son are Afghan refugees living in Iran. Nasim is desperately searching for a means to fund his wife’s life-or-death surgery, but he is just able to feed himself on backbreaking day labor like digging wells. He fails in a few half-hearted attempts at less-than-legal means, including putting himself under the tire of a bus in what is either a dangerous con or a suicide attempt. He eventually comes into contact with a scheming event promoter, who arranges a shrewd publicity stunt: Nasim will ride his bike in circles, day and night, for seven straight days. Soon a crowd of gawkers, gamblers, beggars, dancers, food vendors and local gangsters descend on the scene of exhausting endurance, each eager to exploit Nasim and his hard-won spotlight. Throughout it all Nasim pedals on. By the final stretch he is a grim and silent skeleton with toothpicks propping open his eyelids; an indelible image of desperation, fatigue, dignity, strength and the struggle for life on the brink of death. 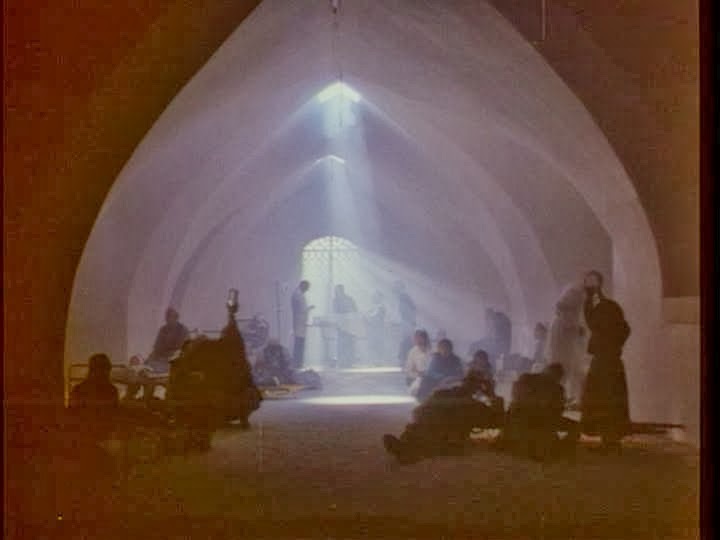 Over the last 30 years Iran has risen to the forefront of Middle-Eastern cinema with major auteurs like Abbas Kiarostami, Jafar Panahi and Mohsen Makhmalbaf receiving international recognition. 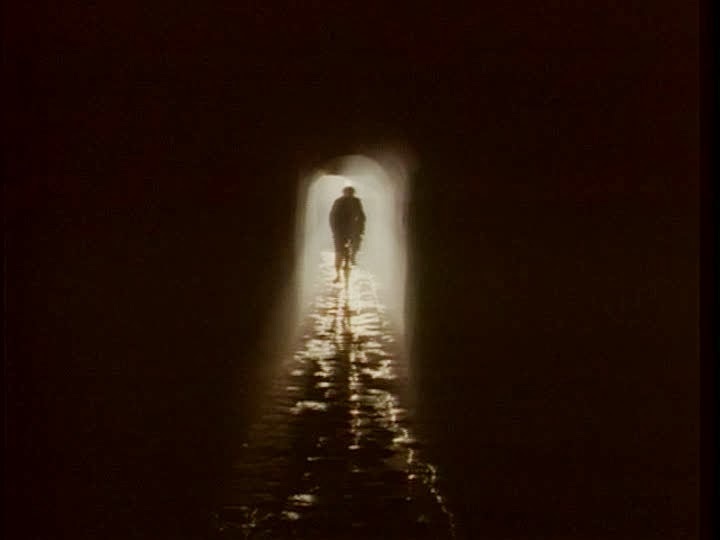 The Cyclist is one of Makhmalbaf’s earliest films and it has a certain roughness around the edges, but its lack of slickness and polish gives it an almost documentary-like immediacy. 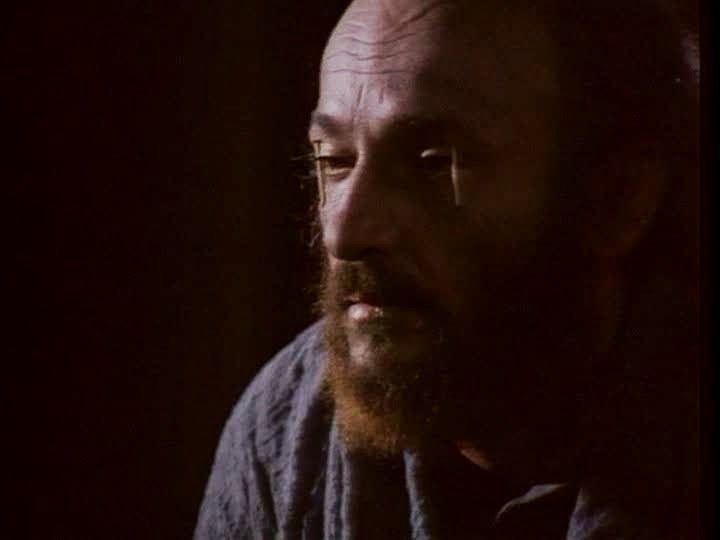 First-time actor Moharram Zaynalzadeh’s central performance as Nasim may not have much screen presence, but it has authenticity and humanity. Though the dialogue is intentionally trim, Nasim isn’t just a symbol of voiceless poverty and the tribulations of the immigrant experience; he builds his performance from weathered expressions, pragmatic need, suppressed intensity and an underlying resolve. His plight, a rather hopeless and wretched piece of circus sideshow endurance, is both uncomfortably pathetic and boldly heroic (like the growing crowd, we can’t help but watch) and that can be interpreted within literal, sociological, political, cynical and spiritual contexts. 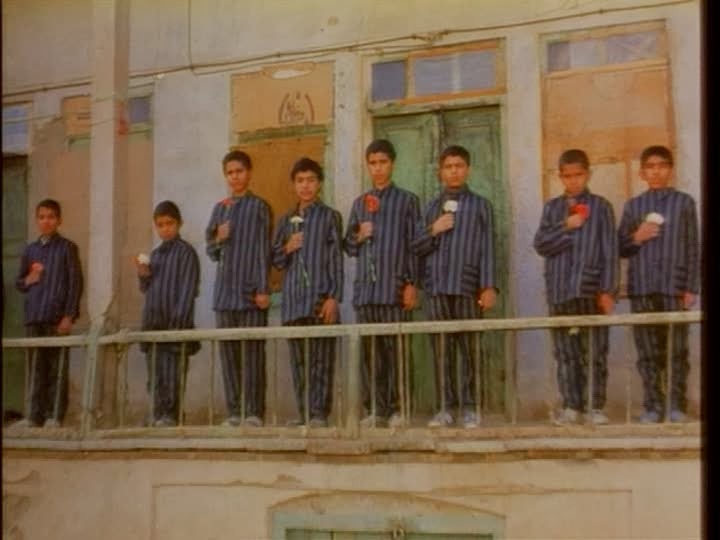 Makhmalbaf based the film on a real life case that was actually even more dramatic than what he depicts here and, though he eventually agreed to “soften” the ending, it strikes me as even more devastating and thought-provoking than the truth.